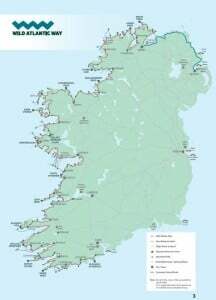 The Wild Atlantic Way is the longest defined coastal route in the world at 2,500 kilometers stretching from Donegal to West Cork. This iconic route can be experienced by driving, cycling, walking, sailing, or sea-kayaking. Tucked away in little towns and villages that snuggle into the coastline are delightful cafes & restaurants, where you can include in your passion for good food & great wine. Maybe you will hear a few words of Irish spoken along the way in Ireland’s Gaeltacht regions; or reignite your passion for life while surfing on magnificent waves off the coast of Donegal. Enjoy an invigorating walk in Galway or relax in a seaweed bath in Sligo. Perhaps take time to reflect on times past with a visit to the ruins of a sixth century monastic settlement on the stunning Skellig Michael in Kerry a UNESCO World Heritage Site and the film location for the widely acclaimed Star Wars Movie….The Force Awakens. You may like to roam through the romantic beauty of scenic Garnish Ireland in Cork, or you might watch the weather change from the historic Clare Lighthouse in Mayo. Wherever you go along the Wild Atlantic Way you will encounter moments of magic, moments to treasure, and experiences that you will want to return to again and again. 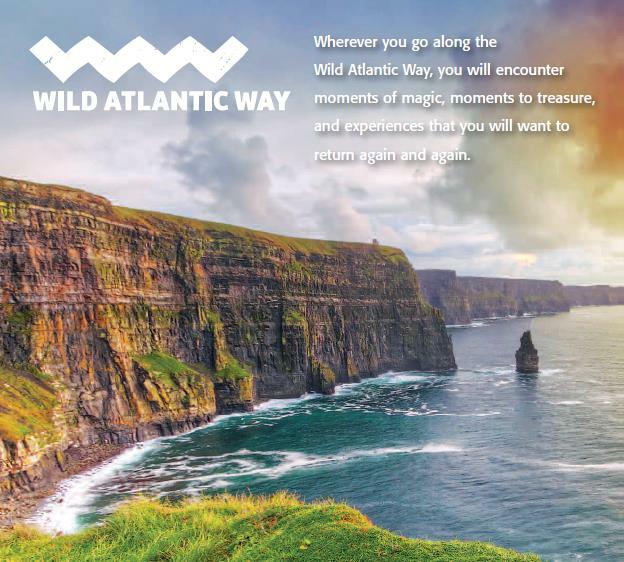 We can customize a tour along any part, or along the whole 2,500 kilometers of the Wild Atlantic Way – Contact Us today! Ireland at a Glimpse Discount Card – Save up to €500 Euro with Discount Pass & access to 76 of Ireland’s Premier Attractions such as the House of Waterford, Titanic Dock Belfast, Bunratty Castle & much more! Interested in Wild Atlantic Way Chauffeur Tour?